th no room for a personalised, user-specific experience. However that all changed when 25 year old Marco Nardone invented Unii.com: a social networking site strictly for students; away from snooping parents or spying employers. The site is tailored to the needs of students with specific features like society and club management and student opinion polls. An account can only be created using a university accredited email address and the concept has proved popular with 100,000 students signing up since its launch six months ago. We chatted to Unii.com CEO Marco Nardone to get his thoughts on the site and why we should sign up. Hi Marco! Unii.com is a fantastic concept, where did the initial idea come from? What prompted you to take on this project? s and future employers. Our later research then found out that 56% of British dads confess to checking up on their kids via Facebook! Most students wouldn’t invite their parents to a party, or loop them into a phone conversation, so why should they have to worry about what they might see on social networks? What challenges did you face when you were trying to set up the site and how did you overcome these? Understanding the mass student community was a challenge. Having been a student myself very recently, it would have been easy for me to set up the Unii.com platform based on what I believed to be the mass student need. However, we very wisely decided to conduct months of audience research – something that has helped us invaluably in the long run. We continue to listen to our audience and take actions based on their direct feedback. Why should people create an account with Unii.com when they already have a Facebook account? We don’t consider ourselves to be in competition with Facebook, or any other social network for that matter. We don’t want to steal their users or even encourage our community to not look at these sites. Instead, it’s about offering features that genuinely meet a need for students. 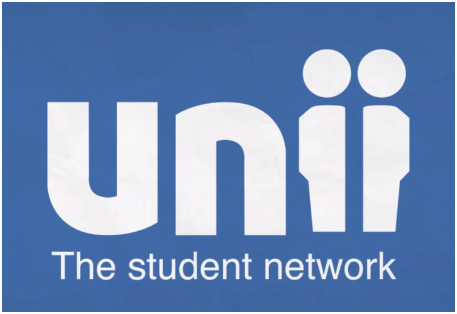 Unii.com offers a place where students can not only share content and chat to friends, but also find something for every aspect of their university life including job placements via the dedicated jobs board, accommodation matching and society management pages. We see Unii.com as an all-encompassing platform designed to enhance university life and offers so much more than a social network. What is it about the site that you think keeps students coming back? There’s nothing out there that offers so much under one roof, dedicated completely to students. Additionally, the problem of online privacy is a key issue for this community because nobody wantstheir Fresher’s week antics coming back to bite them when future employers or parents decide to check their online footprint. The reassurance of complete peer-to-peer privacy is a big draw. The site has many student-orientated features that other social networking sites don’t have, but which one has proved to be most popular? Unii Opinions has been very popular with our users. The tool allows them to create an opinion poll and post it to their friends, university, or the UK network.Unii Opinions encourages interaction within the student community and provides great insights about their interests and hobbies. Despite the manifold benefits of social networking sites they have proved to be problematic for many young people with issues of cyber bullying sometimes having serious consequences. How seriously does Unii.com take the issue of online bullying or harassment? And what steps does it take to deal with complaints? Cyber bullying is a critical issue and one we take very seriously. We have a ‘report abuse’ function and follow up on every instance of this. We also regularly check for inappropriate behaviour including cyber bullying and stalking. The site also has a series of penalties for this and all types of inappropriate behaviour, ranging from banning users for specific period of time to terminating their usage from the network entirely. But Overall, our users are using the site to share typical university updates and engage in student life. What message would you give to students at StrathclydeUni to get them to sign up? With our users spending on average 60-90 minutes on the site, there is loads to discover. If you want to find new friends on campus or share content in privacy with existing mates – get involved now! Where do you see the site in 5 years? We want to continue to grow our user base. We’ve had 100,000 new members since launch and want to hit 200,000 by 2014,but we won’t stop there. Within 5 years we will also be lookingto make plans to expand to other markets including the US and China. Also, we have lots of exciting updates planned for 2014 including the launch of mobile iOS and Android apps, which are coming very soon! Finally, how would you describe Unii.com in 3 words?